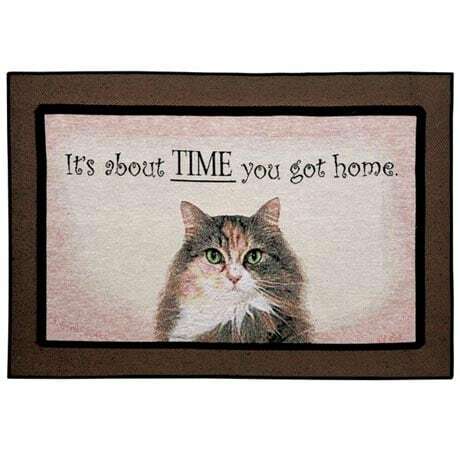 Do cats count the minutes until we get home? Or do they just want us to think they do? Woven tapestry doormat is soft poly-cotton with a nonskid rubberized back. 27" x 18". Machine wash. Imported.